The DVI team is comprised of many talented professionals with big data, data science, business intelligence and corporate travel data backgrounds. Brian is widely known as a key industry influencer and technology trendsetter based on his strong and diverse background that includes leadership roles at GE Power Systems, Toyota, Amadeus and Travel and Transport. He has led breakthrough projects in transaction processing, supply chain management, large project implementations, data warehousing and business intelligence for e-commerce, mobile and emerging technologies. Brian is an avid technologist that embraces change and believes that technology implemented appropriately will solve many of today’s problems. Brian founded Data Visualization Intelligence, Inc., (DVI) in late 2016 with the goal to develop a viable solution to the data challenges in the travel industry. The next year, Brian led DVI to a win as the People’s Choice Business Travel Innovator Award at the yearly BTN Innovate conference. As a speaker, Brian has spoken at past GBTAs, regional BTA events, technology webinars, product launches for major technology companies, BTN events, and more. He was recently listed as one of 2018’s top innovators for the Business Travel Industry. Steve is a highly accomplished technology professional with a successful 18-year career creating vision, identifying opportunities, building organizations, and delivering strong technology solutions within intensely competitive markets. Steve is recognized as a change agent with strong innovation and transformation skills. He is experienced in building, expanding and optimizing technologies, teams, products, and processes to improve market position, reduce costs, and strengthen bottom line performance across complex environments. He is a natural communicator and leader with strong motivational skills and an ability to build, produce and succeed. Steve possesses an uncanny ability to create consensus between technical and business teams. 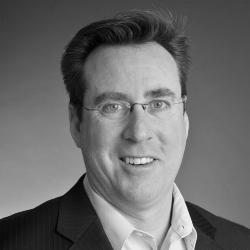 Steve has lead major data initiatives at CitiGroup, Chase, Metlife, UnitedHealthCare, TRX, British Airways, Recall, BCD Travel, Verizon, Griffin, Amerigroup and others. Mark is a project management and consulting professional with over 15 years of experience in program and project management, delivering multi-million dollar projects for Fortune 100 firms. He is highly skilled at growing client relationships, driving revenue opportunities and delivering positive results through effective team building and project execution. Mark’s specialties include IT project and program management, E-marketplace business strategies, strategic planning, digital marketing, business planning, multicultural management, business system design, software development management, supply chain optimization, government relations, client relationship management, budget development, business integration management and quality control. Kate has more than 28 years of experience in corporate travel operations, account management, project management, data, reporting and analysis. She has been responsible for account management of many of Travel and Transport's largest corporate clients and directed operations for multiple reservation centers. Throughout her tenure at Travel and Transport Kate has been actively engaged in supporting corporate customers with statistical and strategic analytics as it relates to the health of their travel programs. As a project manager, she has overseen several significant projects including development of Travel and Transport's proprietary non-refundable ticket management system. She also led a team of account representatives who provided support to Travel and Transport's SME customers as well as reporting and analysis to all of Travel and Transport's account managers. Tobey has 10 years of experience in the travel industry, where she has specialized in supporting corporate clients and the stewarding of strategic partners. Most recently, she built and managed the global travel program for a large enterprise customer operating in 30 markets. Within this program Tobey was successful in managing a complex team and providing attention and expertise at every stage of the program’s development. Tobey also developed and maintained a global sales pipeline of over $1 billion dollars from conception to implementation, including executing RFPs, pricing, presentations, and contract negotiation. She has a broad skillset spanning data analytics, program analysis and optimization, and disciplined cross-department and -organizational communication. Sean brings over 18 years of experience in global leadership roles within sales, marketing, operations, account and product management to the DVI team as our Director of Sales. His main responsibility will be leading DVI’s corporate sales efforts while also providing input into the company’s marketing efforts and overall product strategy. Sean utilizes the experience and skill set developed through his previous roles with Amadeus, Prime Numbers Technology and TRX to help prospective customers find real solutions to their data challenges. Sean is a graduate of Kennesaw State University with a degree in Finance and resides in Atlanta, GA, with his wife and three children.